Frame bending inwards The pool is not yet full This is completely normal. 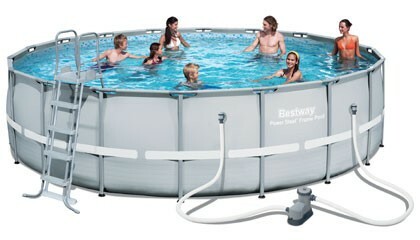 The frame will bend inwards until the pool has been filled to the 80% capacity. The pool should be cleaned with a mild soap and water solution, such as washing up liquid as this is a non-abrasive cleaner. It is recommended that the pool is stored in a cool, dry place across the winter period as the cold weather can damage the PVC walls. The pools should be cleaned and thoroughly dried before being stored.